I’ve been looking back at my photo albums lately. Looking back at old photos helps to get a perspective of where the garden is going by remembering where it’s been. I can see how effective my efforts are at developing a garden, how much things have grown, and remember old plants I might not have anymore. While perusing the photos I stumbled across a photo of the ugliest tomato I ever grew. It’s pretty darn ugly! So I thought I would share it with you! This ugly tomato is not only twisted and deformed but also was nibbled on by insects. One of these tomatoes will happen in your garden if it hasn’t already! Other tomatoes grown that year in our garden and even from the same plant were just fine. Did we taste it? Um….no. We never ate the ugliest tomato I ever grew. We were afraid it might contain some of the insects that did the damage. But even without insect damage how would you slice a tomato like this? There’s no great place to start the knife. Tomato issues like this could be caused by a number of factors from soil chemistry, to insects, to diseases, or genetics. There is a variety of tomato called the ‘Ugly’ tomato. My tomato did not come from that seed since I’ve never bought an ‘Ugly’ Tomato. Around our house we would rather eat a tomato like the ‘Woodle Orange’ tomato! 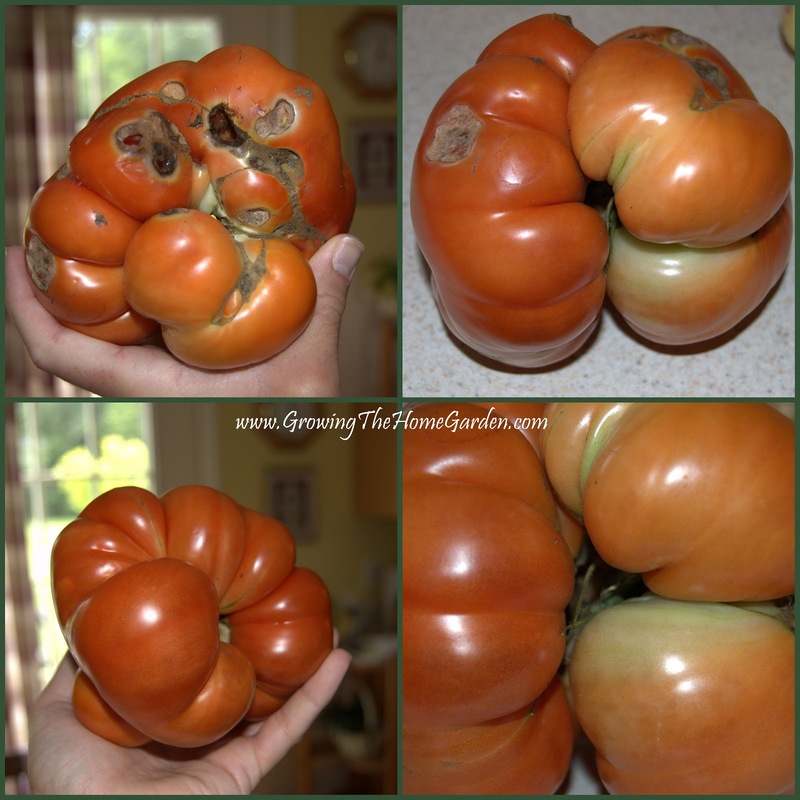 Have you ever grown a tomato as ugly as this one? What’s your favorite tomato? I had quite a few of those. Once I sliced them in half it was easy to pare away the icky parts. They tasted fine but I cut them all up for freezing anyway. Happy 2013 and merry gardening!